IIM-Calcutta ,the institute conducting the CAT 2018 entrance exam,has released the official mock test 2018 on 16th October 2018 and it is available on the official website ( iimcat.ac). Unlike previous years,this year the CAT mock test for MBA entrance exam is released beofre CAT admit cards , furnishing early access to aspirants. 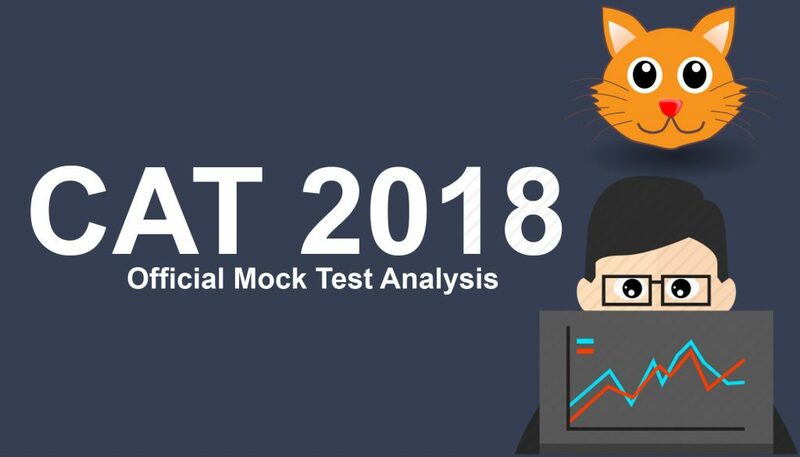 we can figure out the key changes in CAT 2018 Exam Pattern with the analysis of the mock test. Very important obeservation from the CAT 2018 Mock Test is the declining trend of TITA or non-MCQ Questions year-after-year; Non-MCQ Questions ,for which we type in the answers, are fewer in numbers in the CAT 2018 mock test as compared to the earlier years. The Non-MCQ questions dont incur penalty for wrong answers. So its very important to attempt questions selectively as the negetive marking could ruin the percentile. The mock test given by IIM culcutta also enlightens the sectional break-up of questions as well as break-up of MCQs and non-MCQs or TITA questions ,an important consideration for the aspirants. Irrespective of mock tests one has attempted, Proper analysis of CAT 2018 official mock test will fecilitate aspirants adopt and attune their preparation strategy in line with real test demands.